Is this item covered by warranty? This item may be covered by the Sure Guard Guarantee. 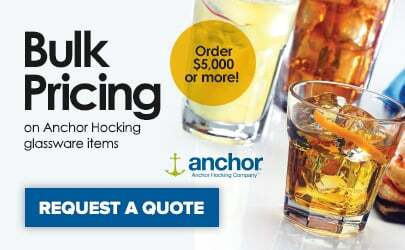 If the rim of a tumbler or the foot or rim of a piece of stemware chips in normal use, Anchor Hocking Oneida may provide you with either a replacement or refund when the item is returned to the dealer/distributor. Please contact a Customer Solutions Specialist if you have any issues with chipping. Are beverageware and/or glassware capacities an exact liquid measurement? Beverageware and glassware capacities are stated in ounces and are an approximate maximum capacity based off of an industry standard size. They are not to be used as a standard of measure for serving capacity. Impress your guests with this Anchor Hocking Oneida 80019 6 oz. 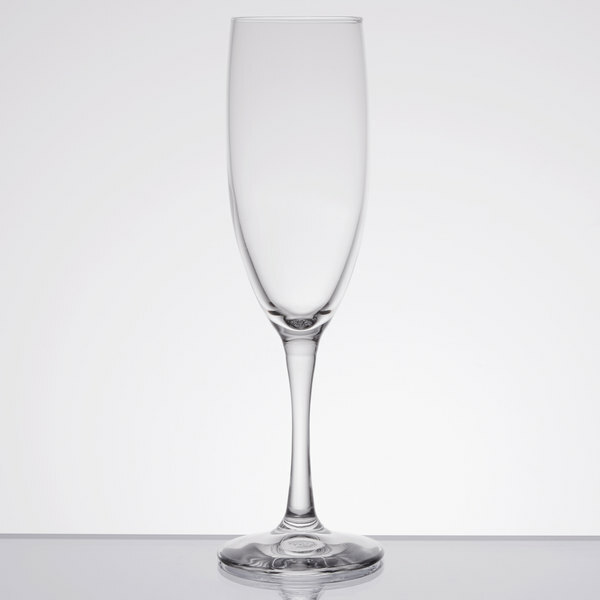 Florentine champagne glass. Its tall, narrow bowl, helps keep the bubbles in your "bubbly." 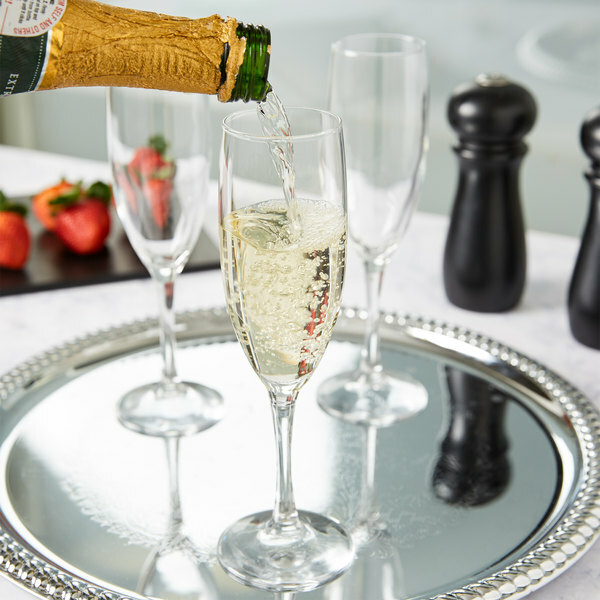 This Anchor Hocking Oneida 80019 Florentine champagne glass is ideal for fine dining at elegant hotels, restaurants, or catered events. These are fantastic flute glasses! I have used them for our New Years party for champagne. However, I have also used them for my white wine selection. This is a must if you have have parties or weddings. Champange is well liked by many people across this planet and its only served out of this glass. I ordered these glasses for my son's wedding because they were so inexpensive, and I couldn't believe how lovely they were. They are very thin with no roll at the rim, just like expensive hand-blown glasses. I don't have a photo because I divided them up between my kids, who were thrilled. They also arrived very quickly and in perfect condition.